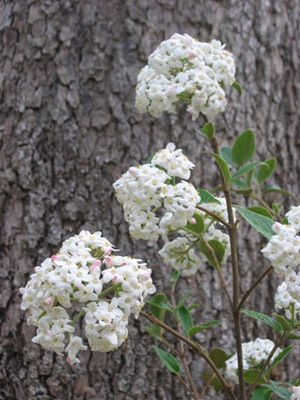 Upright semi-evergreen selection of Viburnum with fragrant white blooms covering this selection. Evergreen foliage in Zone 7 and warmer and early emerging in colder climates. Pink buds open to fragrant white blossoms in rounded balls.